OK, so my tear ducts have been preparing for this finale for um, forever. I’ve gone back and forth on how I thought this was all going to end, and the Internet of course is flooded with opinions everywhere. How will it end? 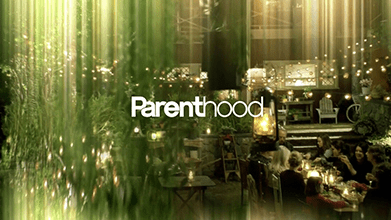 Will it go the way of Jason Katims’ – “Parenthood” showrunner – other beloved show “Friday Night Lights,” perfectly into the sunset? One could only hope. And it truly, truly did. “Bad Judge” was cancelled and I am devastated, you guys! This show is just so silly and funny and charming and has good clothes and Kate Walsh (I could go on and on, I get very emotionally attached to my TV shows), and this week’s episode was no exception. Okay you guys, Bad Judge is getting pretty good. I laughed out loud multiple times and didn’t cringe once. I might even call it delightful. In this episode, a dangerous criminal Rebecca had previously sent to jail for drugs and weapons, has been released. She sees him at a bar (duh, it’s Fully Loaded Potato Skin Tuesday) and Tedward goes full court officer on her.